Responsible is a big word…what does being ‘really responsible marketing people’ mean to us? When you say you’re responsible in business most people take that to mean you’re environmentally responsible… and we are. But for us it goes further. At ELE Global we’re advocates of the Triple Bottom Line, recording and reporting on performance across economic, environmental and social measures. And we believe the best marketing takes a similar approach – considering the different areas of society that interact and the impact our actions (or recommendations) have on them, as well as the economic results we can generate. We want to deliver understandable marketing solutions that benefit our clients in a sustainable, economic way – without sacrificing human values. We want to help our clients grow and earn profit whilst also supporting the non-economic aspirations of those in and around their corporate community. In short, we’re really responsible marketing people. It’s important to us that we can articulate what social, environmental, financial and communicational responsibility means to us, what we want to achieve and the ways we’ll measure it. This is the responsible ethos that we promote with each and every client project. And, most importantly, we practice what we preach – underpinning every element of our own business strategy with the same high standard of wide-reaching responsibility. We’re going to set out a public ‘giving back’ manifesto – and publish it on the website – showing all the ways we’re working to change the business world and leading by example. We’re reviewing our associate information to provide better guidance to all those that work with ELE Global, on four core areas of responsibility (social, environmental, financial, communicational), and how they can contribute. We’re setting out a charity and pro-bono activity plan for 2019/20. Recent activity includes supporting wildlife conservation charities, setting up Elephants Abroad (to provide coaching, training and seed funding to women in business in developing countries) and supporting a wide range of charities with fundraising. We’re reviewing our energy and water use, as well as recycling and supplier choices, to use to set targets for improvement in our own business over 2019/20. We’ve confirmed that all web hosting is 100% green energy and are proud to promote it. We’ve moved all of our power supply to renewable sources. We’re in the process of reviewing all of our internal policies to ensure they best reflect our core ethos… and we’re going to publish them, publically, on the website when they’re done. 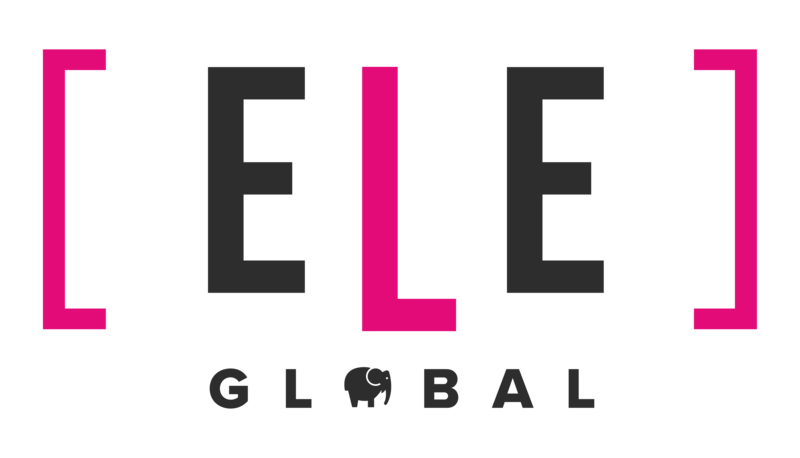 We’re reviewing our banking to assess whether ethical banking is possible for ELE Global. We’re setting up an advisory board of like-minded people to help us develop the business in the right way. We’re talking with B Lab about starting the B Corp process and ways – even before this – that we can support them in spreading the message and developing responsible businesses. We’re reviewing the B Corp community to identify more suppliers that we can use, from there. We’re working on a responsibility communications campaign to all contacts – sharing our mission, vision and actions. We’re working on our first annual report on triple bottom line performance at ELE Global.